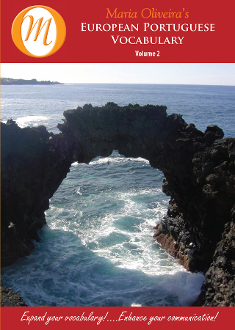 Volume 2 of European Portuguese continues with all new words relating to the home, clothing, food, and much more. Enhance your conversational European Portuguese skills using correct pronunciation as taught by a native speaker. Listen to the lesson and practice aloud when and where you choose. Refer to the included reference cards to check spelling and reading comprehension. Available instantly. No waiting no shipping charges. More convenient than ever, 21 lessons to use when and where you wish.